Father’s Day may not be as flowery or as sentimental as Mother’s Day, but celebrating the man in your family is easy and fun. Please resist the urge to get him another pair of organic cotton underwear or a vegan tie. Instead, get creative with our gift guide, which features green twists for personalizing the holiday for Daddy. Whether they stay-at-home or go to work work, most Dads we know want to chill out on Father’s Day with the family — maybe with a beer in one hand. Green his beverage choice by finding a local brewery through the Craft Beer site discovering where you can buy some local suds or possibly signing him up for a beer tour. You may be as shocked as we were to discover just how many microbreweries and brewpubs exist in this country. If you prefer organic over local, choose Vermont-based Wolaver’s or Maine’s Peak Brewing Company for traditional and modern flavors (such as pomegranate wheat ale). For teetotalers, try a variety pack of Maine Root’s six all-natural sodas, such as root beer and ginger brew, which are all fair-trade certified and sweetened with organic evaporated cane juice. Maine Root is also available at Whole Foods or Wild Oats. Golf has a reputation for being a pretty un-green sport between the inefficient use of land and the chemicals and maintenance needs for the course, but lots of dads find it relaxing and we’re all for activities that get Dad outside. If you don’t live near one of the growing numbers of green golf courses, at least you can outfit him in a conscientious way with the Wilson Staff Eco-Carry golf bag. The unflashy, sturdy Eco-Carry is the first golf bag made from recycled material: production of each bag made means 12 less gallon-size plastic bottles went to the landfill. Toss in some biodegradable golfballs and send him off to the driving range. Fun fact: Another model of biodegradable golf balls was recently created at the U of Maine which uses lobster shells. Look for them down the line for another Father’s Day. And if golf isn’t Dad’s sport, try one of these Fair trade, handstitched vegan sports balls. Don’t let Dad forget his hat on his way out to the golf course, for a hike, or to catch a Little League game. Patagonia’s organic cotton baseball hats are rugged classics. 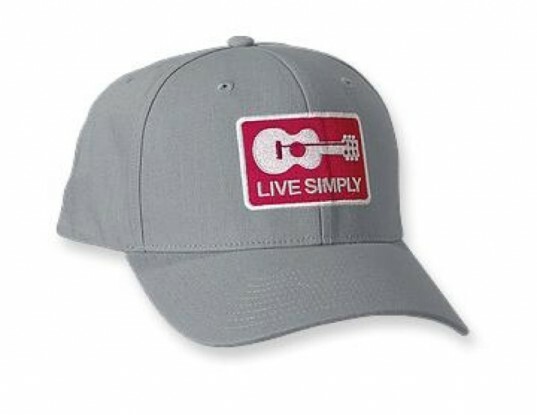 We like the gull grey version which says “Live Simply,” but there are other options including basic black. The “Roger That Hat” hat is also recyclable through Patagonia’s popular Common Threads program, which has already recycled over 27 tons of clothes and accessories. 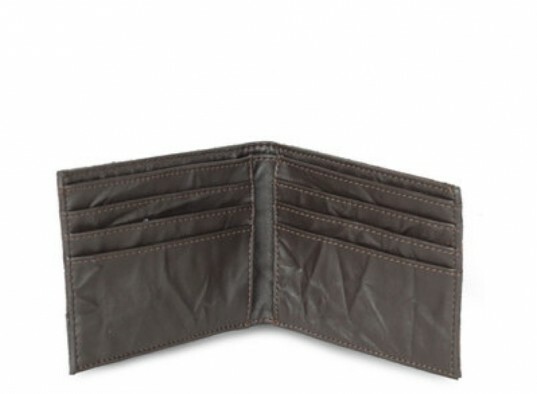 Is it just us or do most men hang on to their wallets until they are frayed and falling apart? MATT and NAT’s vegan wallets will have him finally tossing the old wallet in the trash. With 100% recycled nylon linings (made from plastic bottles), MATT and NAT have hip several options, including the Rudd wallet with a checked exterior. For a more adventurous dad (stylewise, at least), we’ve never seen anything like the brand’s Tellier wallet, which features a natural or brown cork outside. The wallet is just one of many of MATT & NAT’s offerings that use cork, which has an environmentally friendly harvesting process and is itself a sustainable material. Working Dads often spend long hours wishing they could be home with the family, but office decorum often means that photo collages and the kids’ latest art project don’t make it to their work desk. 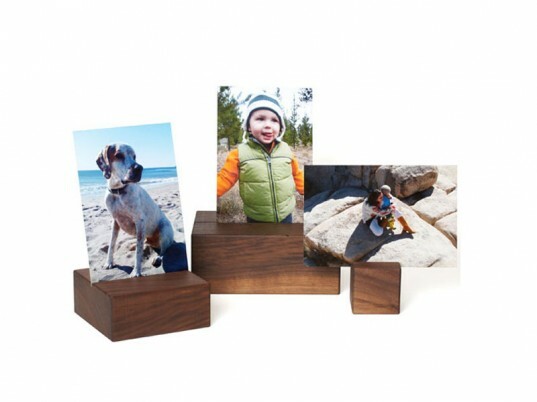 Arroyo photo cubes offer a subtle, classy way to keep the family around during working hours. This set of three photo cubes, made in Los Angeles from FSC-certified walnut, paired with the latest school pictures or vacation snapshots will keep him smiling until he can get home to the real thing. Choose from a set of three small cubes or a set that includes one small, one medium, and one large. 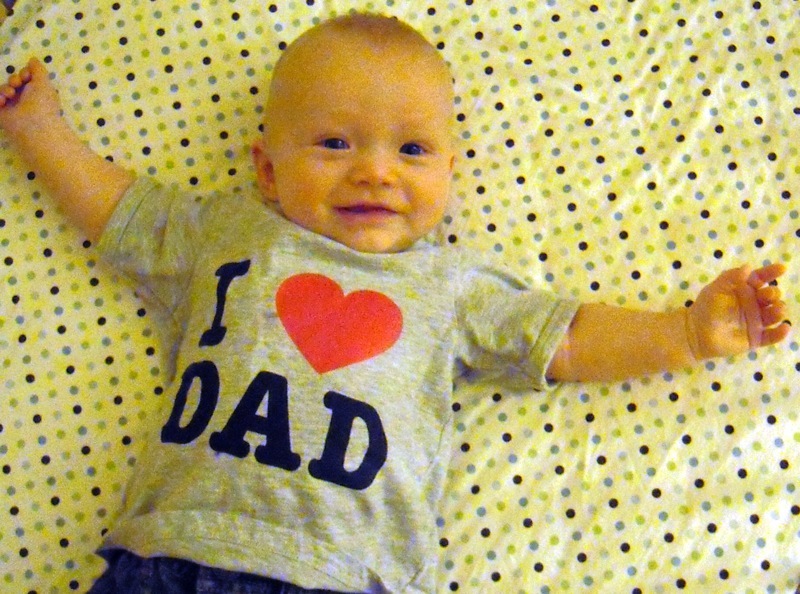 Dads may not log as much time in the kitchen as Moms do (although we’re all for equal-opportunity cooks! ), but when it comes to grilling and roasting, they are often the kings. Help Dad spice up the meat, veggies, and tofu with some of the offerings from Abe’s Market, an online superstore of natural products. We were intrigued by Pollen Ranch’s Little Devil rub, which mixes spices common to barbeque, Cajun, and creole cuisine. California-based Pollen Ranch hand collects the wild fennel pollen that forms the base of the spice mix (which also includes pasilla and cayenne peppers). Or spice things up with Napa Farmhouse 1885’s farmhouse organic rub, made from all organic ingredients such as organic chili powder, oregano, onion, and garlic. Napa Farmhouse 1885 handcrafts each batch in small quantities, which means its products get a little extra TLC and are fresher for you. We don’t want to stereotype, so we’ll say this kindly: Some family members seem a little shy about asking for directions, so purchasing a GPS might prevent a few heated arguments from occurring in the car. 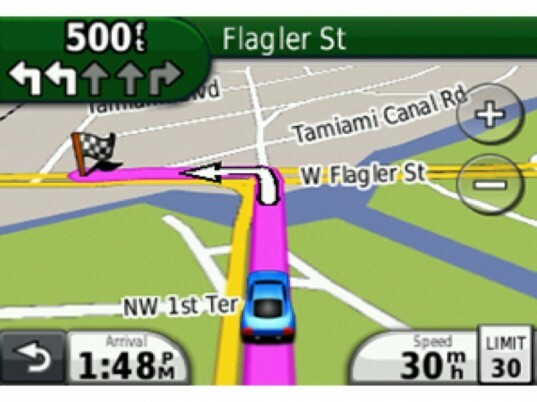 A GPS is kind of eco-friendly to begin with (no need for those thick books of maps or printouts), but we were pleased to see that Garmin has also incorporated ecoRoute as a free feature with all of their nuvi models. You can use ecoRoute to calculate fuel efficiency and carbon footprint as well as to find more fuel-efficient routes to get from point A to B. ecoRoute can even give Dad real-time pointers on how to become a more fuel-efficient driver. And the words “I told you so” will never come out of its speakers. 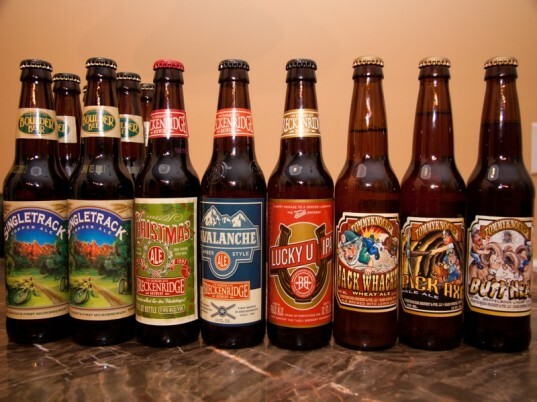 Local and Organic Beer or Soda Whether they stay-at-home or go to work work, most Dads we know want to chill out on Father’s Day with the family -- maybe with a beer in one hand. Green his beverage choice by finding a local brewery through the Craft Beer site discovering where you can buy some local suds or possibly signing him up for a beer tour. You may be as shocked as we were to discover just how many microbreweries and brewpubs exist in this country. If you prefer organic over local, choose Vermont-based Wolaver’s or Maine’s Peak Brewing Company for traditional and modern flavors (such as pomegranate wheat ale). For teetotalers, try a variety pack of Maine Root’s six all-natural sodas, such as root beer and ginger brew, which are all fair-trade certified and sweetened with organic evaporated cane juice. Maine Root is also available at Whole Foods or Wild Oats. Eco-friendly Golf Bag Golf has a reputation for being a pretty un-green sport between the inefficient use of land and the chemicals and maintenance needs for the course, but lots of dads find it relaxing and we’re all for activities that get Dad outside. 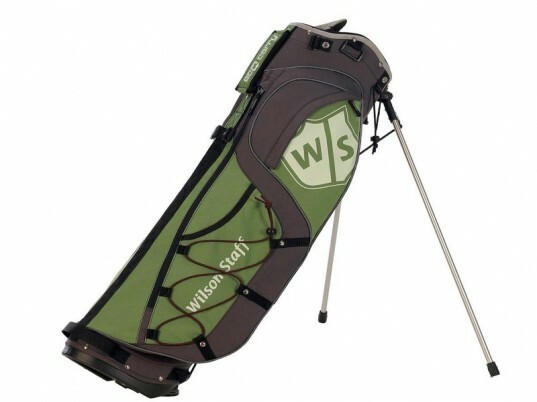 If you don’t live near one of the growing numbers of green golf courses, at least you can outfit him in a conscientious way with the Wilson Staff Eco-Carry golf bag. The unflashy, sturdy Eco-Carry is the first golf bag made from recycled material: production of each bag made means 12 less gallon-size plastic bottles went to the landfill. Toss in some biodegradable golfballs and send him off to the driving range. Fun fact: Another model of biodegradable golf balls was recently created at the U of Maine which uses lobster shells. Look for them down the line for another Father’s Day. And if golf isn’t Dad’s sport, try one of these Fair trade, handstitched vegan sports balls. Organic Cotton Hat Don’t let Dad forget his hat on his way out to the golf course, for a hike, or to catch a Little League game. Patagonia’s organic cotton baseball hats are rugged classics. We like the gull grey version which says "Live Simply," but there are other options including basic black. The "Roger That Hat" hat is also recyclable through Patagonia’s popular Common Threads program, which has already recycled over 27 tons of clothes and accessories. Eco-friendly and Recycled Wallets Is it just us or do most men hang on to their wallets until they are frayed and falling apart? MATT and NAT’s vegan wallets will have him finally tossing the old wallet in the trash. With 100% recycled nylon linings (made from plastic bottles), MATT and NAT have hip several options, including the Rudd wallet with a checked exterior. For a more adventurous dad (stylewise, at least), we’ve never seen anything like the brand’s Tellier wallet, which features a natural or brown cork outside. The wallet is just one of many of MATT & NAT’s offerings that use cork, which has an environmentally friendly harvesting process and is itself a sustainable material. Organic and Wild-crafted Spice Rubs Dads may not log as much time in the kitchen as Moms do (although we’re all for equal-opportunity cooks! ), but when it comes to grilling and roasting, they are often the kings. Help Dad spice up the meat, veggies, and tofu with some of the offerings from Abe’s Market, an online superstore of natural products. We were intrigued by Pollen Ranch’s Little Devil rub, which mixes spices common to barbeque, Cajun, and creole cuisine. California-based Pollen Ranch hand collects the wild fennel pollen that forms the base of the spice mix (which also includes pasilla and cayenne peppers). 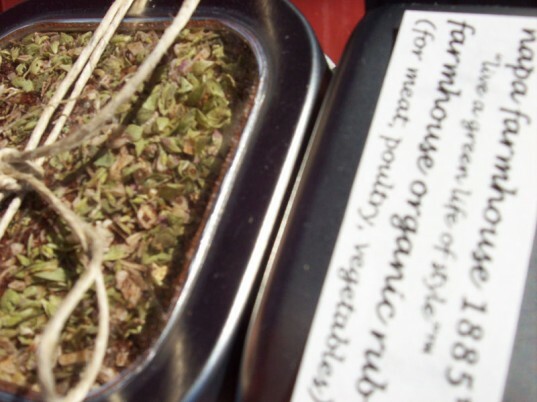 Or spice things up with Napa Farmhouse 1885’s farmhouse organic rub, made from all organic ingredients such as organic chili powder, oregano, onion, and garlic. Napa Farmhouse 1885 handcrafts each batch in small quantities, which means its products get a little extra TLC and are fresher for you. GPS with a Green Sense We don’t want to stereotype, so we’ll say this kindly: Some family members seem a little shy about asking for directions, so purchasing a GPS might prevent a few heated arguments from occurring in the car. A GPS is kind of eco-friendly to begin with (no need for those thick books of maps or printouts), but we were pleased to see that Garmin has also incorporated ecoRoute as a free feature with all of their nuvi models. You can use ecoRoute to calculate fuel efficiency and carbon footprint as well as to find more fuel-efficient routes to get from point A to B. ecoRoute can even give Dad real-time pointers on how to become a more fuel-efficient driver. And the words “I told you so” will never come out of its speakers.